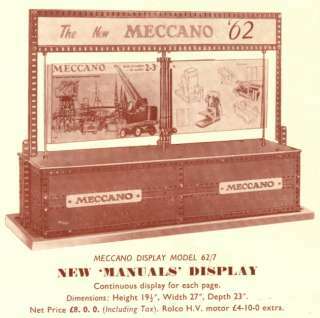 This page contains some examples of trade items and literature, dealers' display units and models, etc. 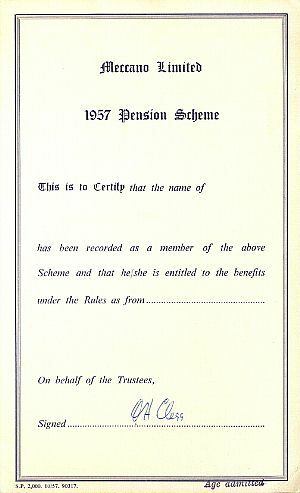 If you have any information which would be suitable for this page, please email me with the information or photos, etc. 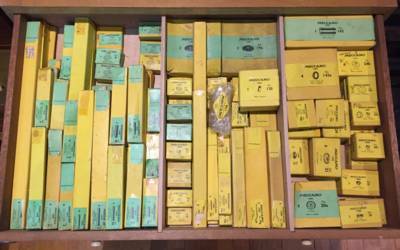 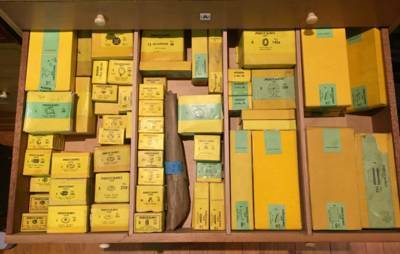 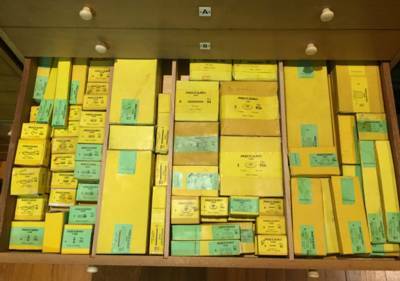 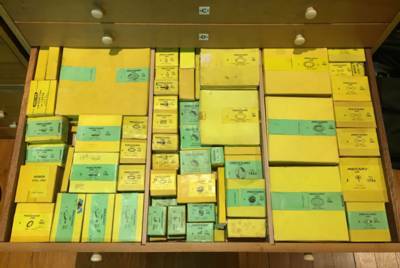 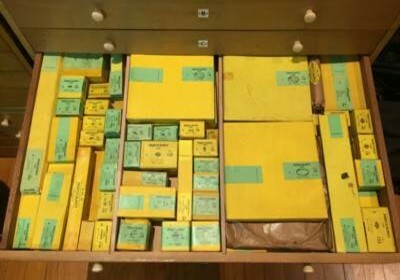 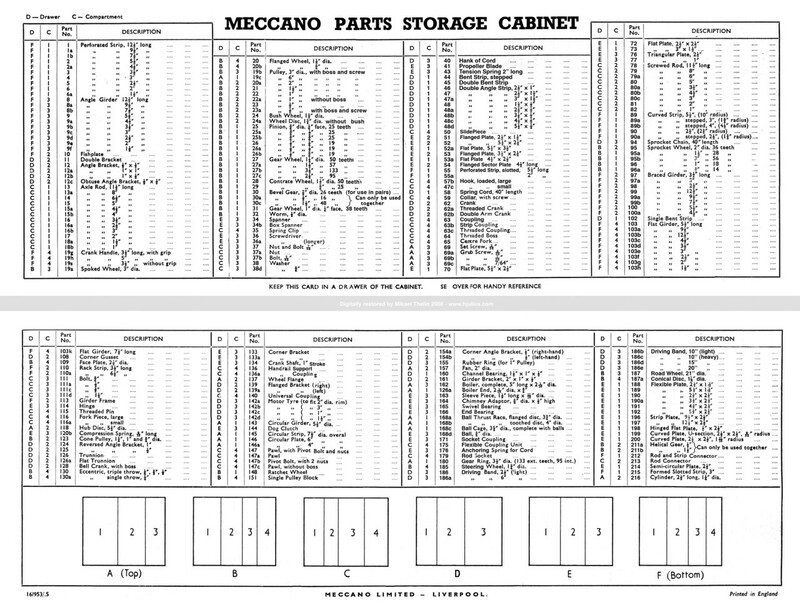 Below: The six drawers stocked up with mint parts from the medium and light red & green periods. 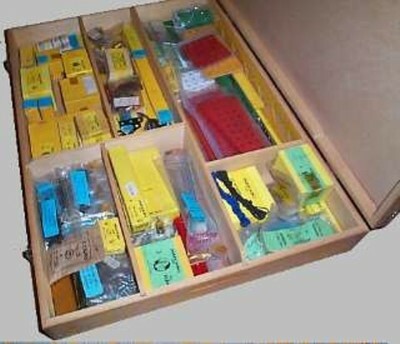 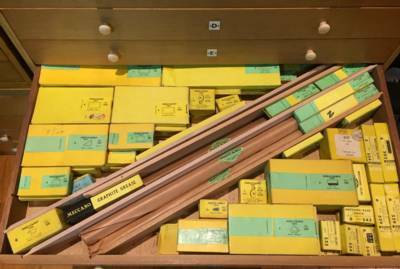 These handsome wooden dealers' cabinets now bring back many nostalgic memories to Meccano enthusiasts. 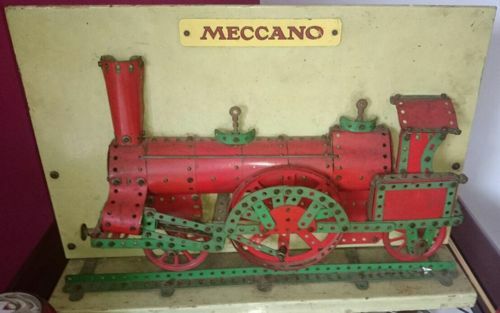 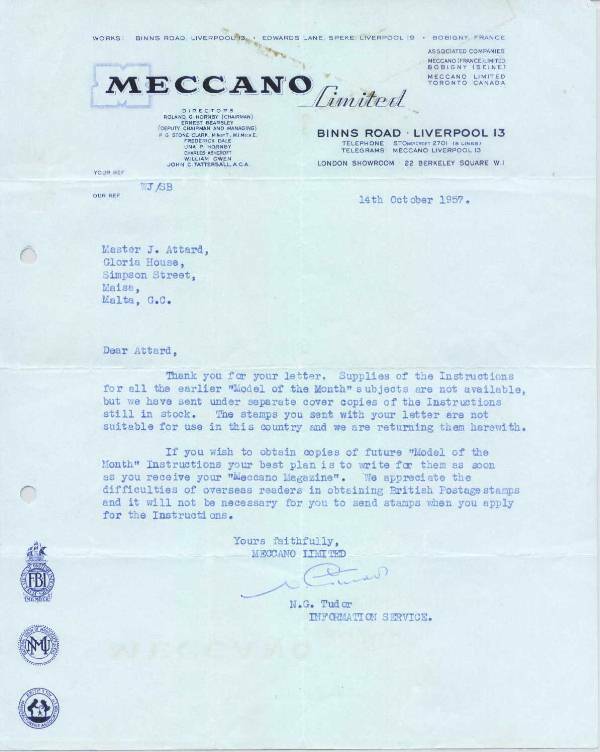 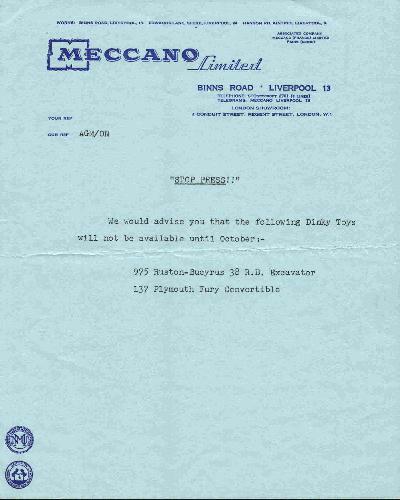 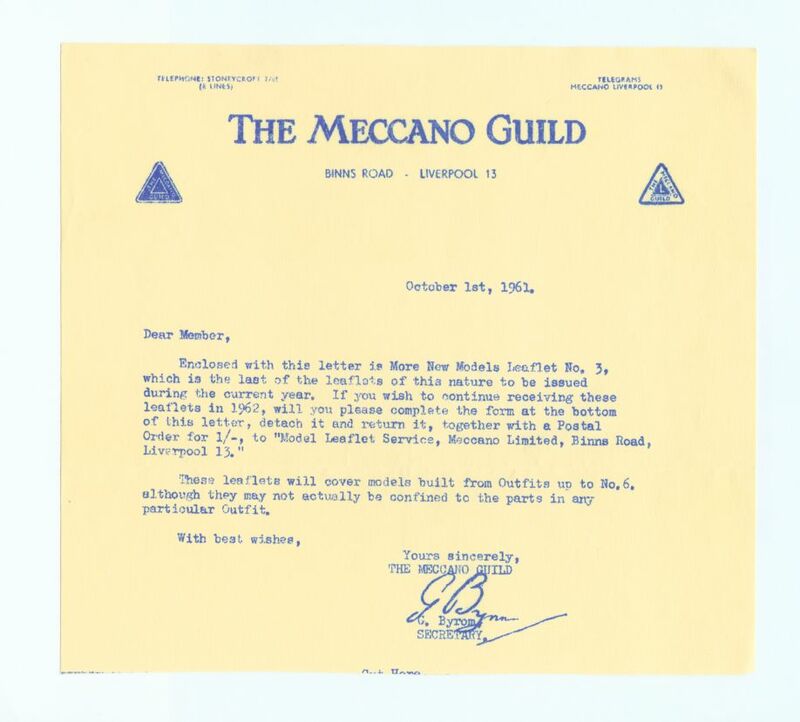 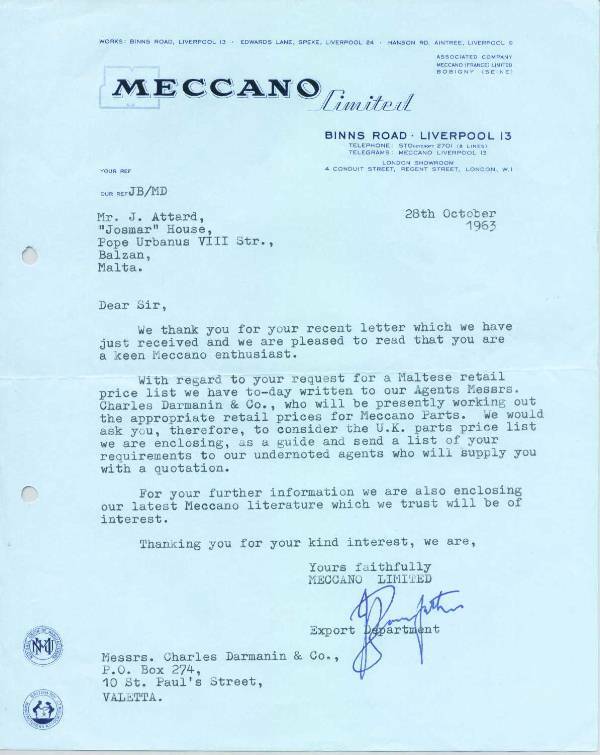 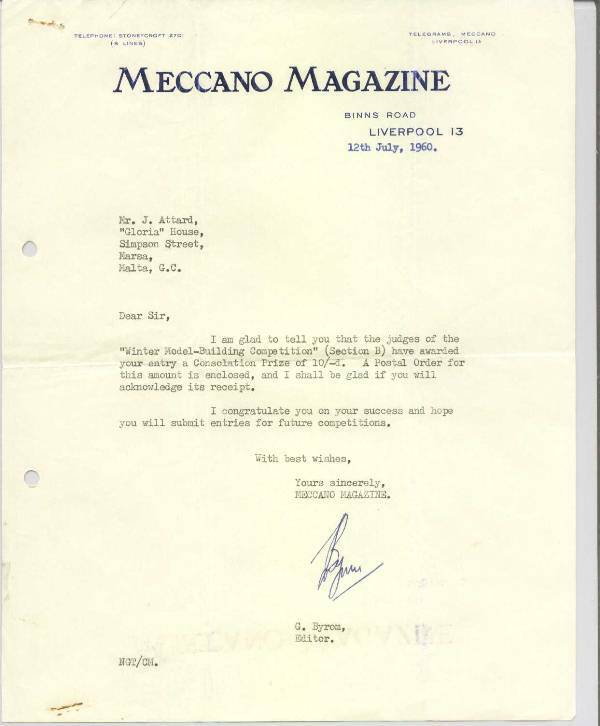 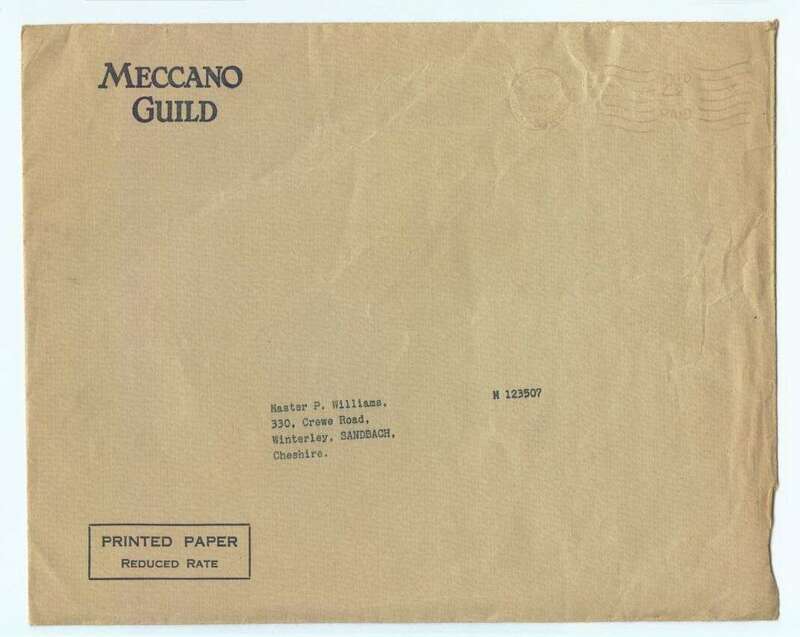 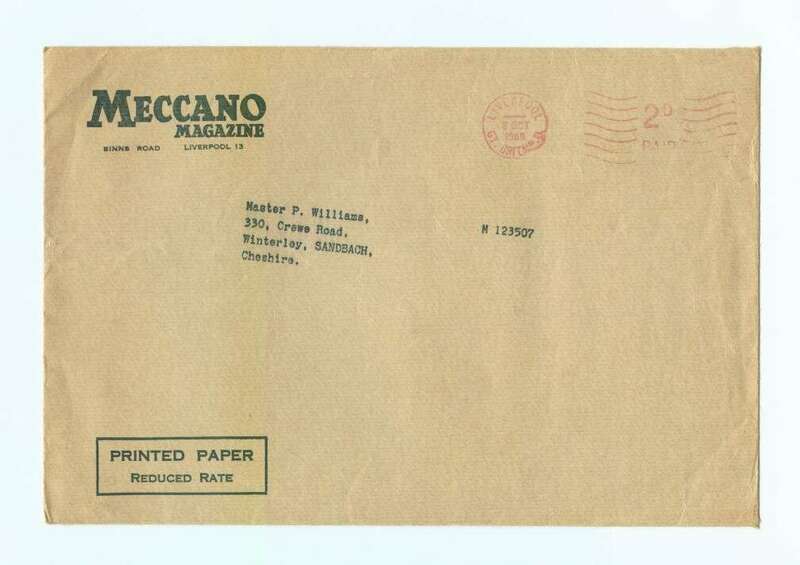 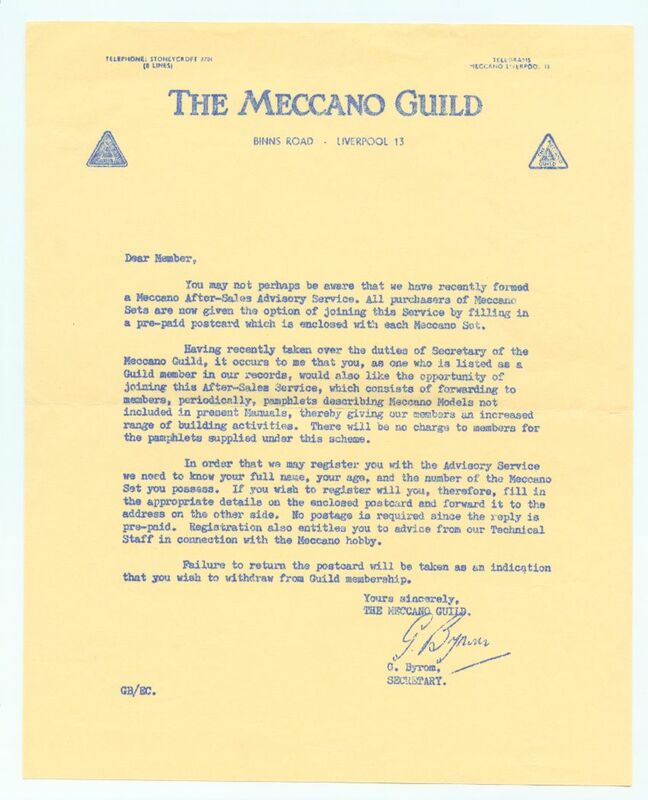 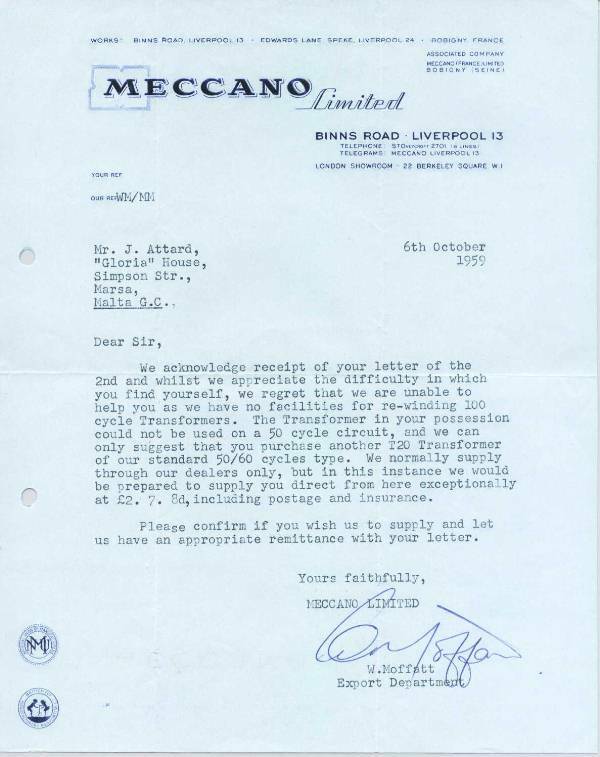 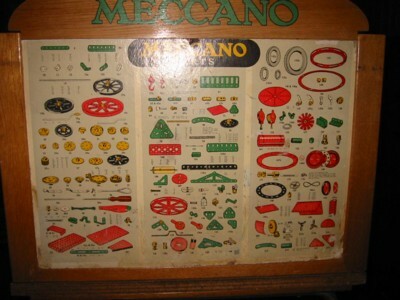 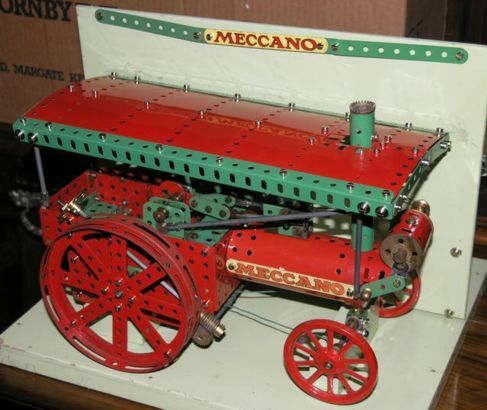 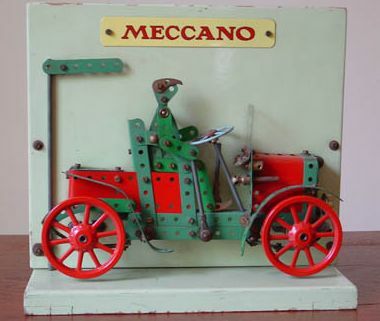 During the 50's and 60's a visit to the Meccano shop would be a real treat. 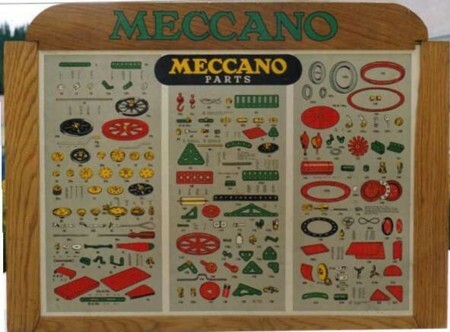 Many happy hours would be spent there drooling over this fabulous cabinet packed full of shiny new Meccano parts, and trying to decide what to buy with last week's pocket money. 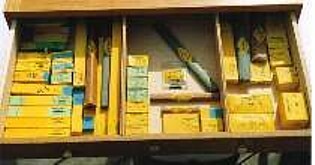 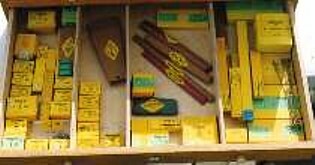 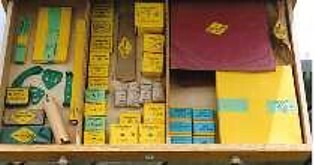 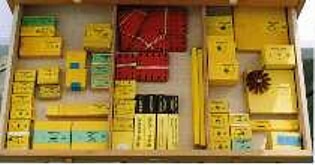 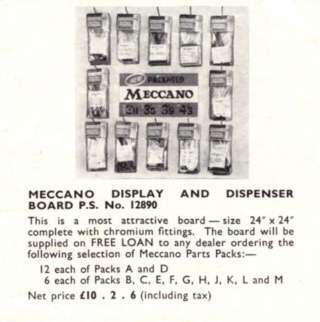 During the 1950s, a smaller dealers' box was also available for use by dealers not wanting to stock the full range of spare parts. 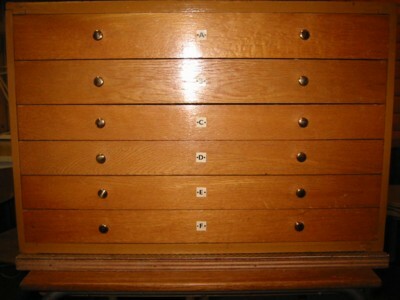 This box was painted a maroon colour. 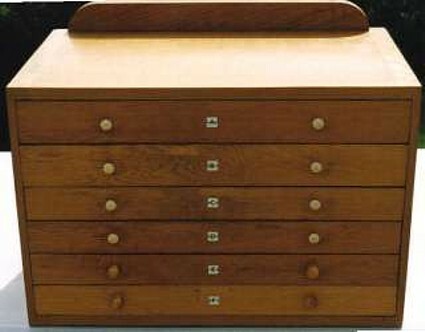 In 1958, the box was finished in a natural wood colour, and the thin hardboard top and bottom were replaced by stronger plywood panels. 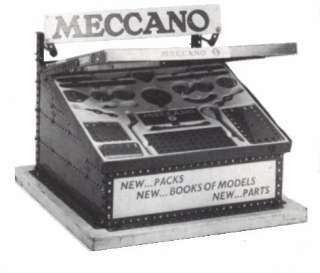 The 1958 version of this box was also sold to the general public, for the storage of Meccano parts. 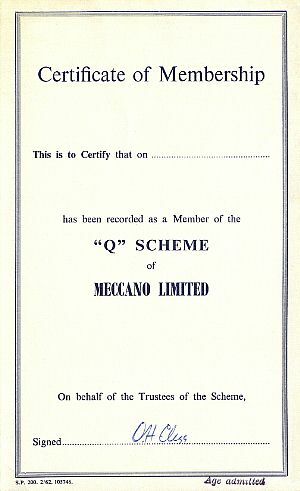 See the 1958 advert. 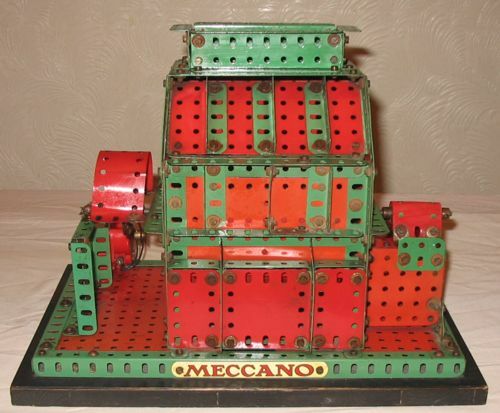 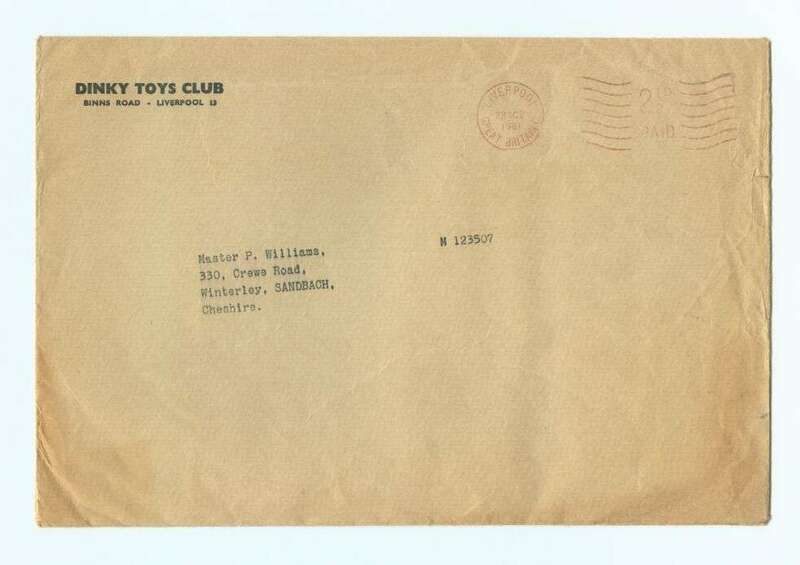 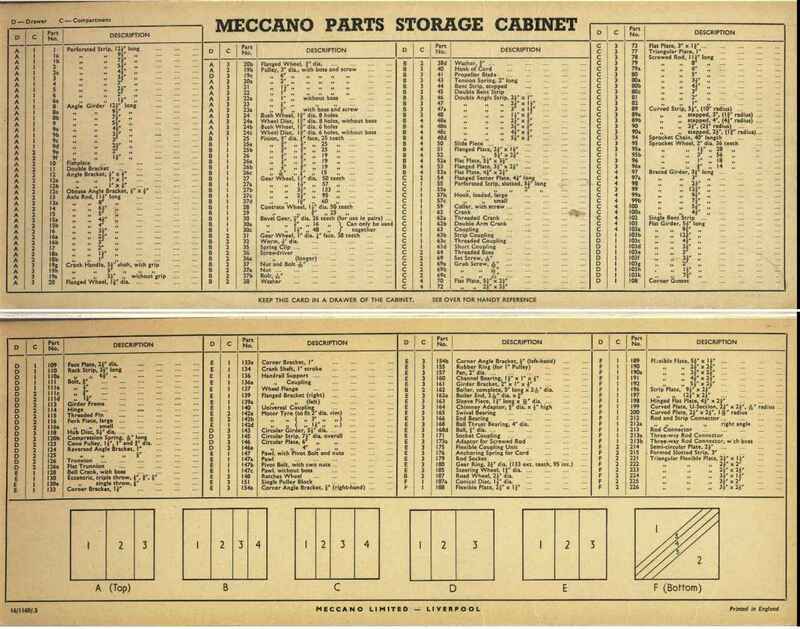 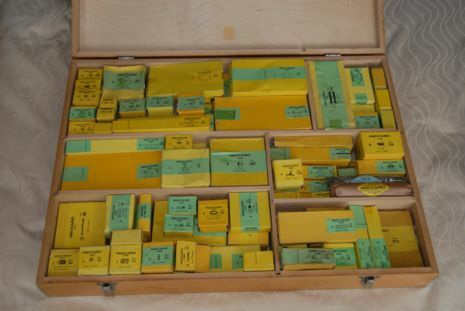 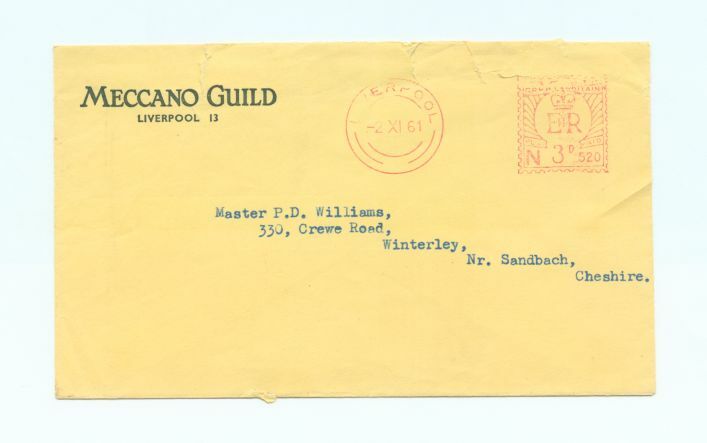 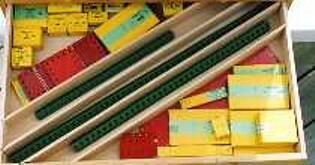 The two dealers' boxes in the photographs are packed with Meccano parts, mostly from the light red and green period, and have a display card on the lid showing medium red and green parts. 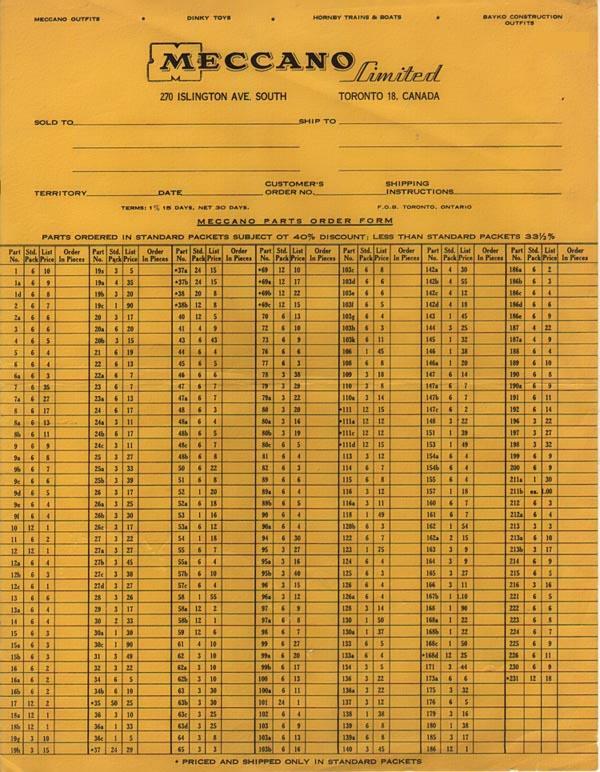 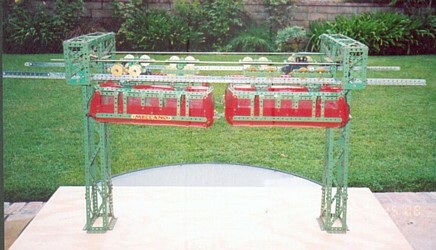 A light red and green version of this display card was never produced. 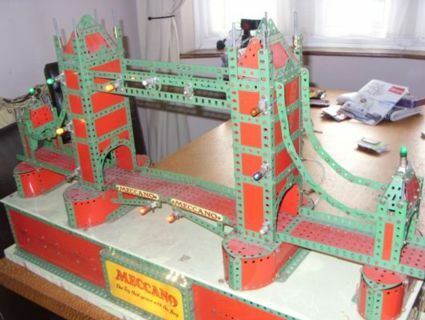 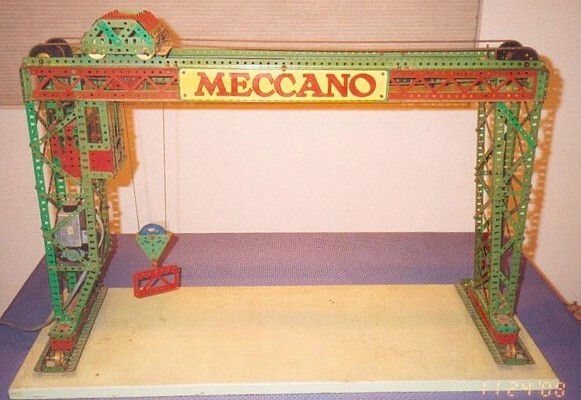 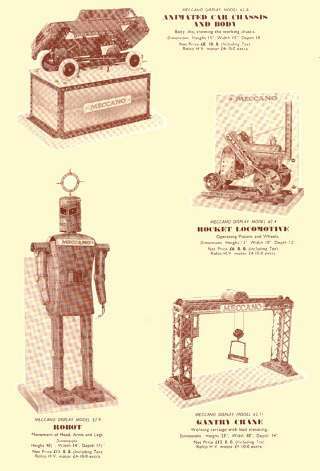 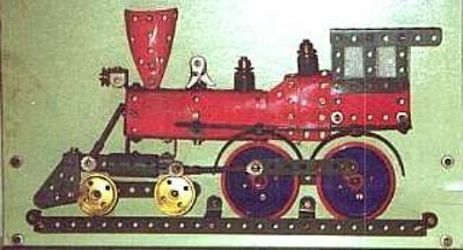 Above: 1962 Motorised Meccano outfit display unit to show off the new M sets. 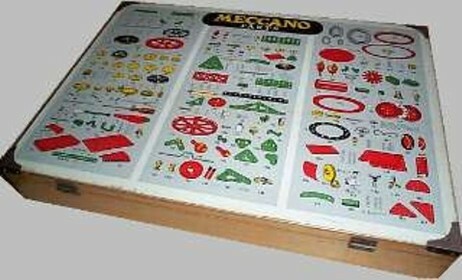 The set lid was opened and closed automatically. 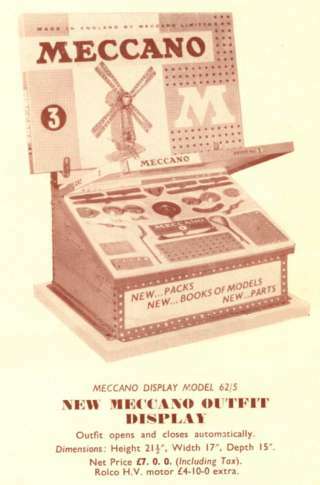 Note that the outfit in the display is actually a No.2, with a No.3 outfit standing at the back. 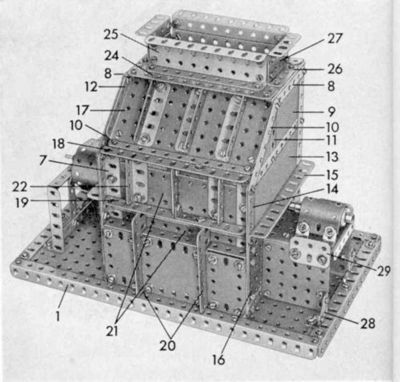 Below: Photograph of an actual unit, minus the outfit 3. 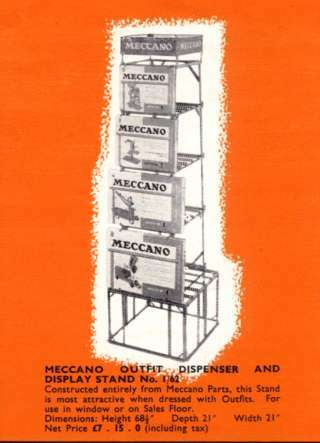 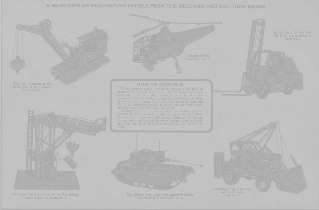 Above: A 1962 motorised Manuals display unit, for the display of the new exploded-vew manuals. 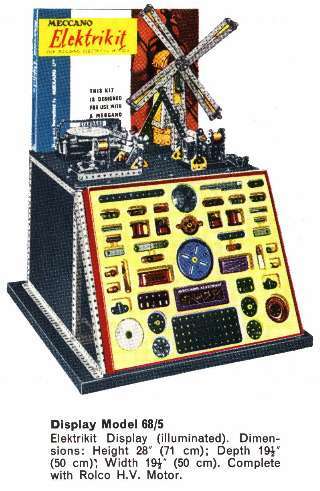 This was fitted with an automatic page turner to provide a continuous display of each page. 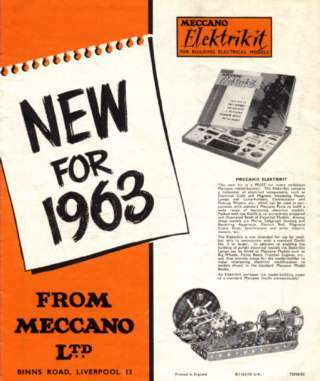 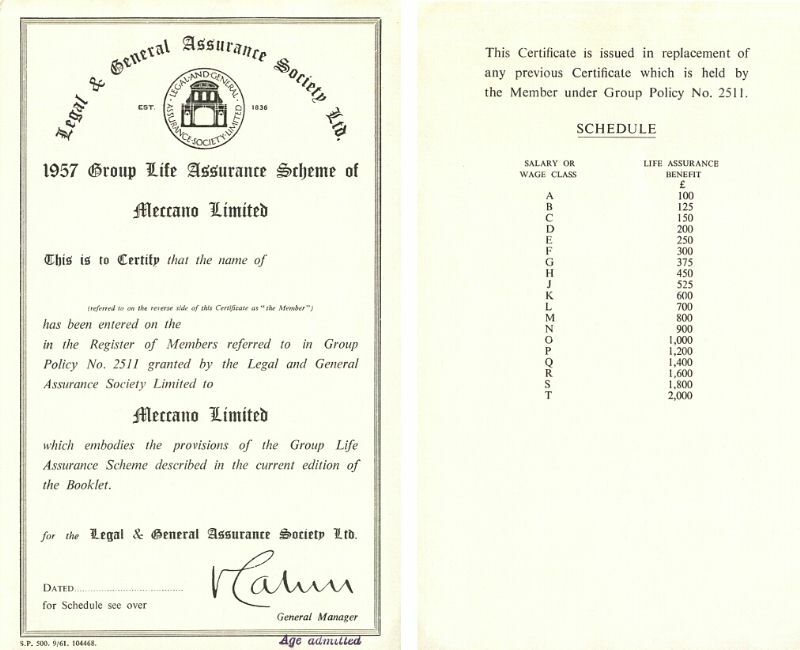 Two pages from the 1963 dealers' leaflet, showing the new Elektrikit, but the old 1959-61 series of outfits on the display stand! 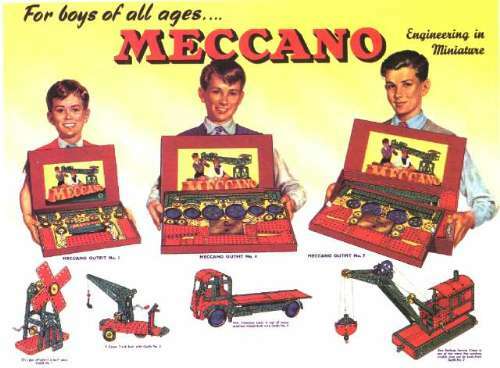 Outfits 1, 2, 3 and 4 are shown. 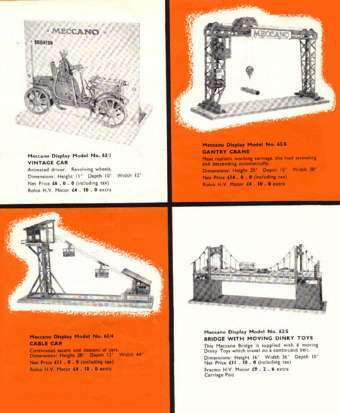 1963 Display models shown: 63/1 Vintage Car, 63/2 2-2-2 Crewe-Type Locomotive, 63/3 Contractors Crane, 63/4 Cable Car, 63/5 Bridge with moving Dinky Toys, 63/6 Big Wheel (illuminated), 63/7 Perpetual Table Tennis Ball Display, 63/8 Gantry Crane, 63/9 Octopus (illuminated), 63/10 Tower Bridge (illuminated), 63/11 Flying Cigars (Dive Bomber), 63/12 Giant Windmill Pump (illuminated). 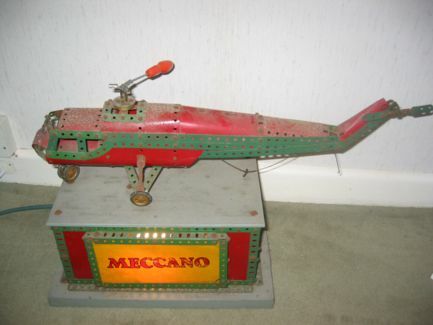 This is not strictly a Dealers Display model, but probably even more interesting! 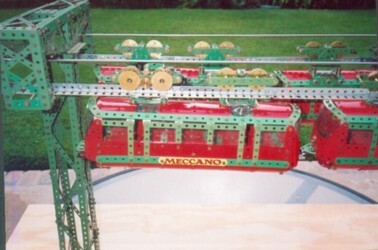 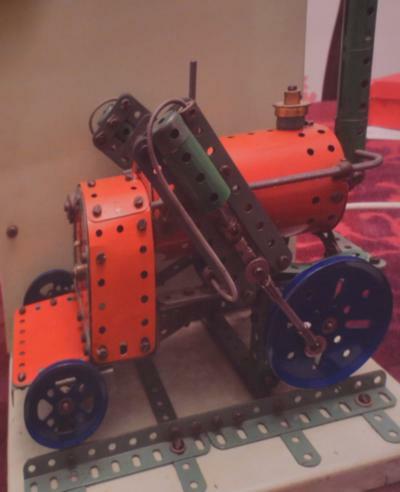 It is a working model of a Mansfield Stone Crusher, and was built specially for Frank Mansfield & Co. Ltd. by Meccano's Model Building Department to coincide with the publication of the plans for it in the Meccano Magazine. 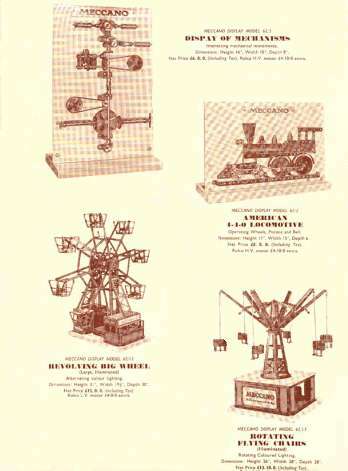 It appeared in the April 1964 issue. 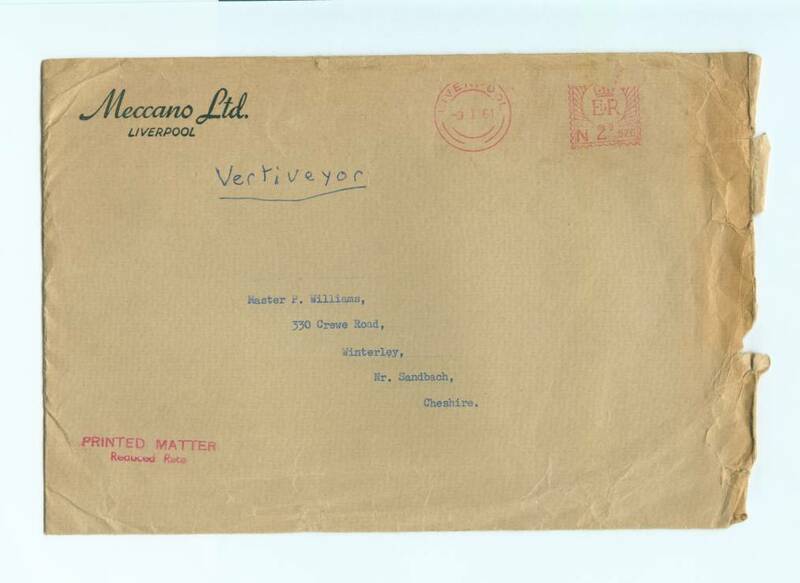 "Mansfields went into liquidation in the nineties and this is all that remains of the company. 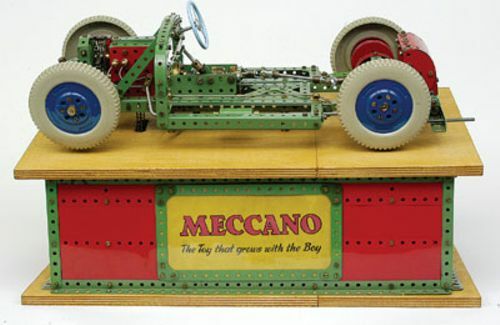 It has an Emebo motor and full moving parts, and is an exact miniature replica of the real thing." 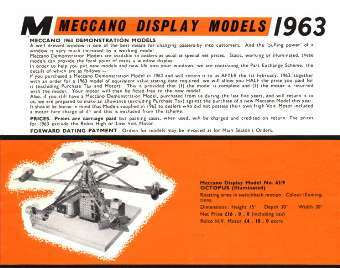 This is a unique display model that once ran in the Binns Road showroom. 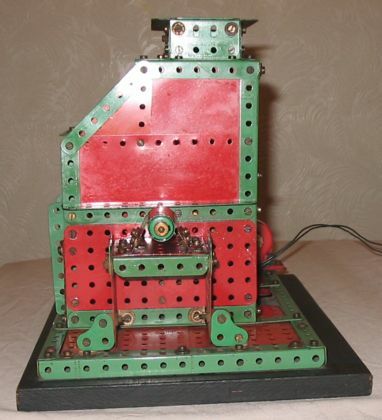 Louis Maillefer bought the model on a visit to the factory in the early 1960's. 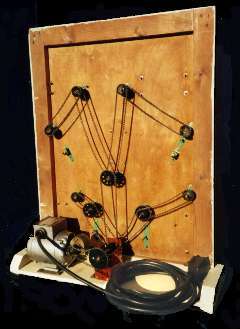 The model ran on a large circuit in the factory, with the cars travelling in opposite directions. 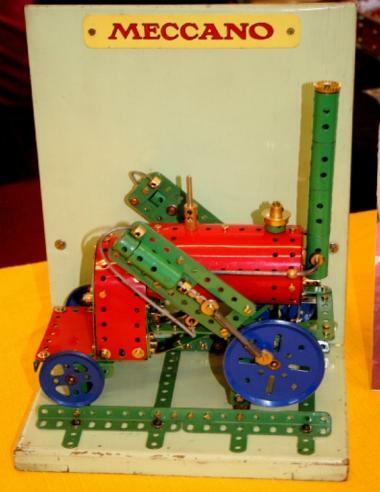 This model was featured in the SCM&EC Newsletter 3/2008. 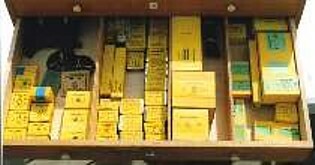 The impressive Elektrikit display unit. 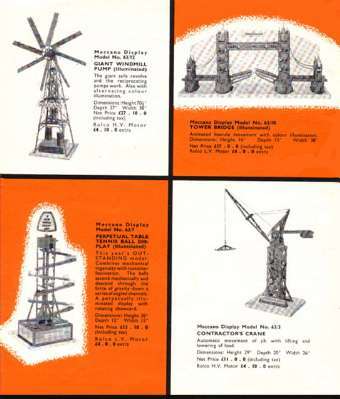 The models on the top are all from the Elektrikit manual. 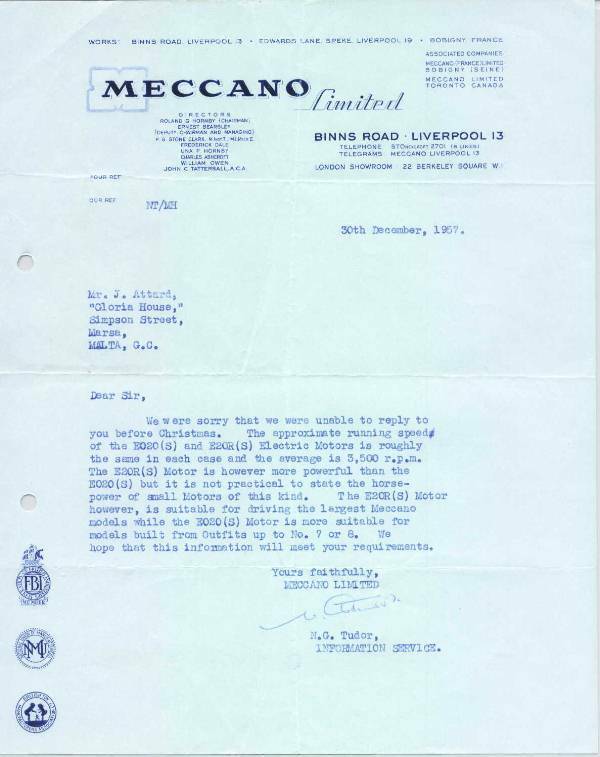 The unit contained an electric motor, which presumably turned the windmill and the induction motor, and possibly operated the level-crossing barriers intermittently? 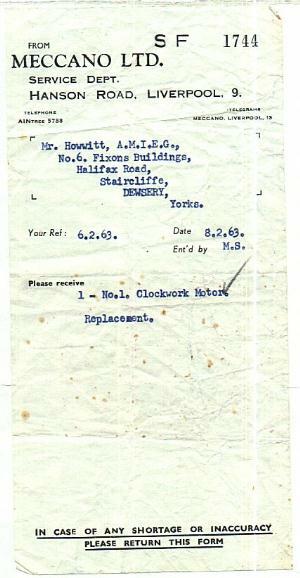 Illumination was also provided, but this may have been confined to the bulbs on the windmill and the level-crossing. 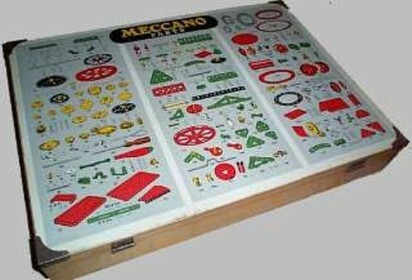 Were Meccano themselves ashamed of the artwork on the box lid? 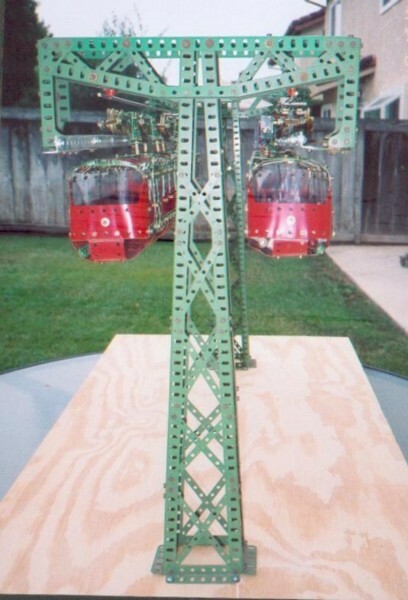 Looks like they used the windmill to cover it up! 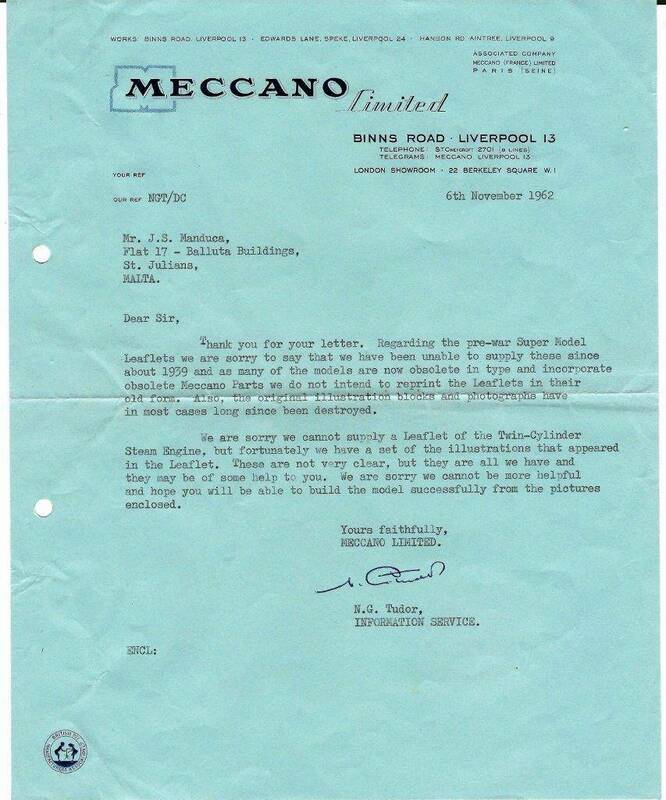 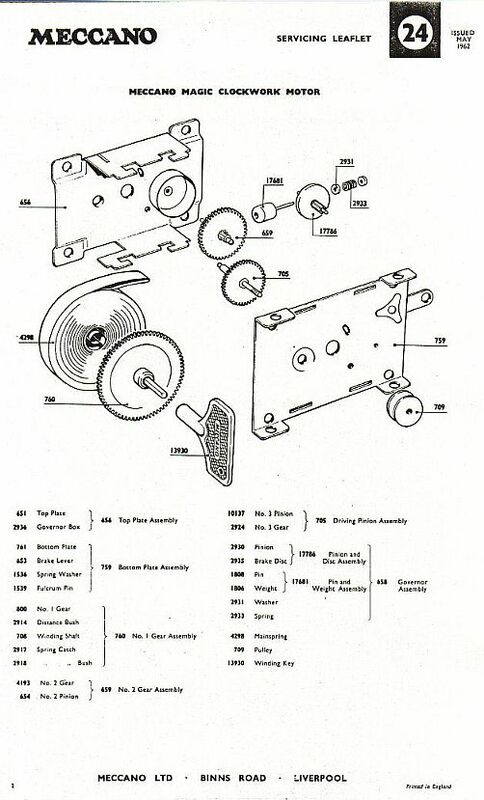 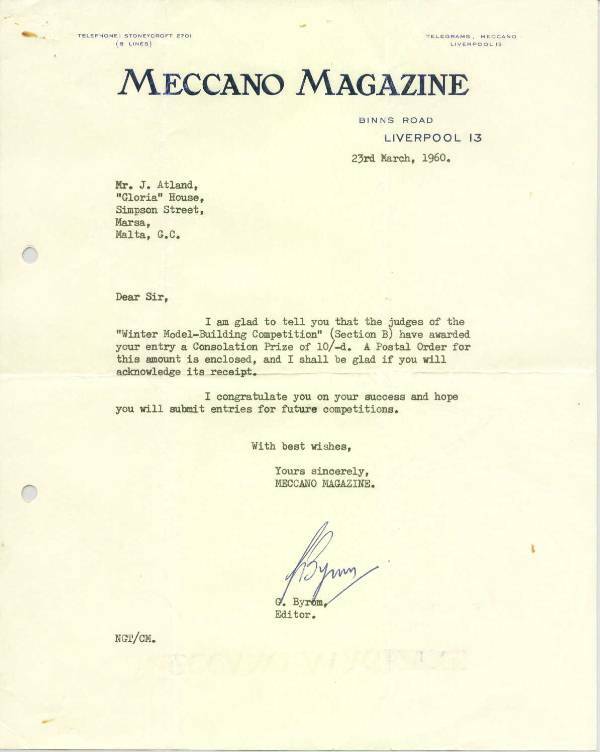 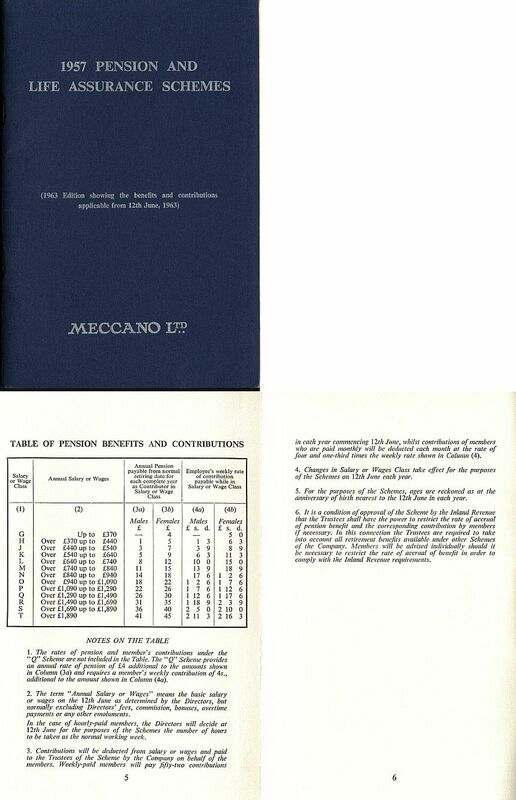 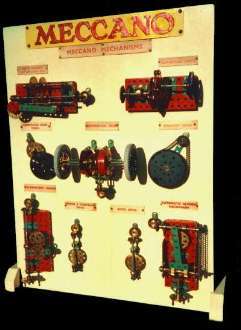 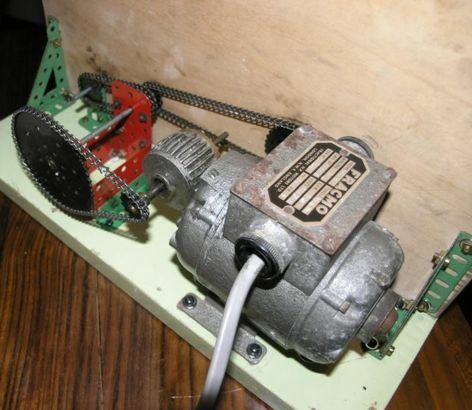 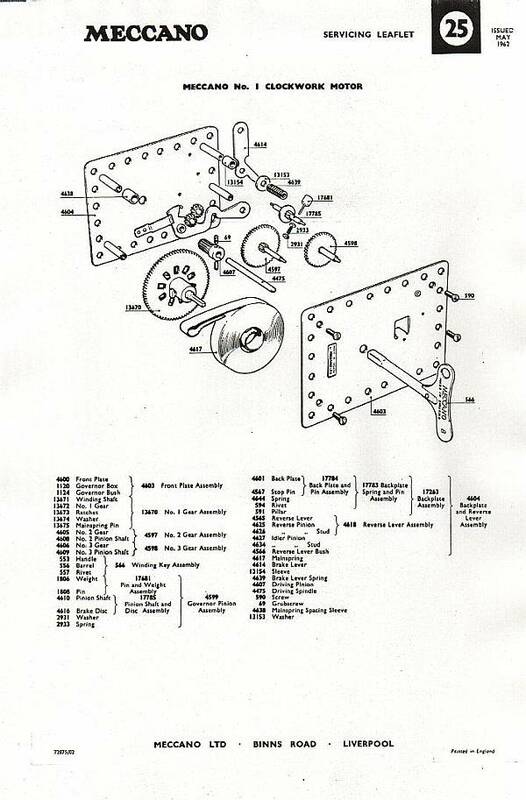 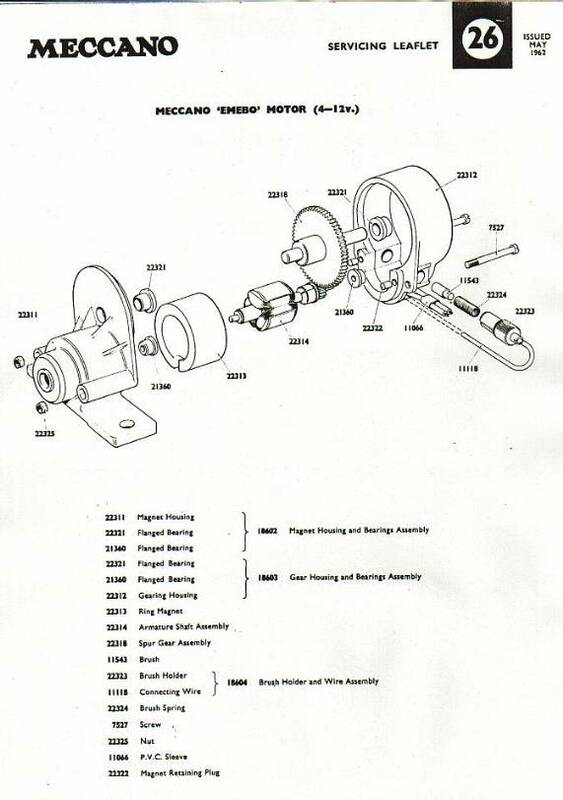 As Meccano motors were never intended to be run continuously, Meccano Ltd. used geared motors by various manufacturers (Klaxon, Hillman, Fracmo, etc.) 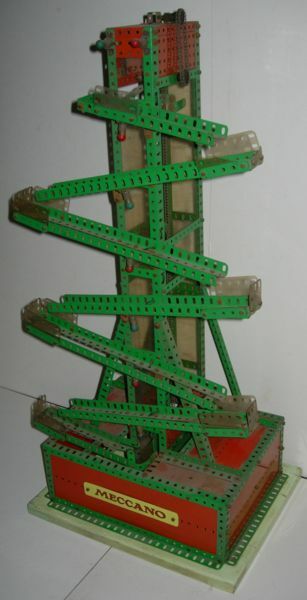 to run their display models. 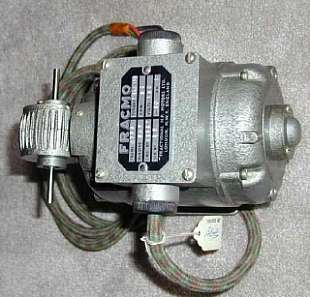 An example of a Fracmo motor from a display model is shown above. 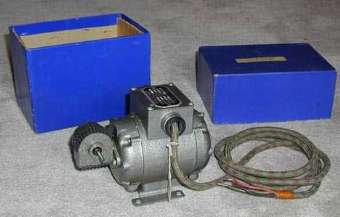 Later, small shaded pole induction motors were used.